It’s nearly the most wonderful time of the year! Christmas is a time for getting together with all your loved ones and sharing in the special times with all your friends and family. What better way to show your love than giving the gift of a unique and wonderful experience? From festivals to theatre, gigs to great days out; Gigantic has something for everyone to enjoy. With over ten years-experience and a dedicated customer services team, award-winners Gigantic are experts in getting the hottest tickets to you through a stress-free booking. Looking for that special idea for someone who loves live entertainment? 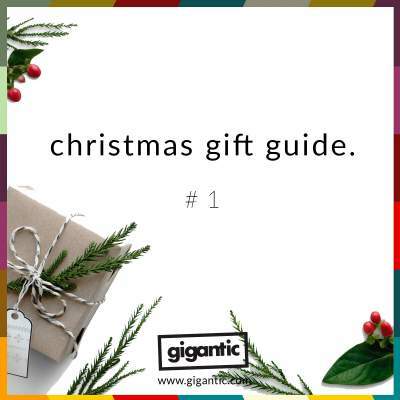 Gigantic Gift Vouchers are the perfect present as it allows your loved one to choose from over 3,000 gigs, theatre shows and major festivals so you know they get to enjoy exactly what they want. You can even personalise it with by choosing your design and adding a special message. Everyone knows the 80’s was the best decade for Christmas songs and no festive playlist is complete without Shakin’ Stevens, Wham, The Waitresses and Band Aid! Let’s Rock invites you to return to the decadent decade by dressing up in the wild fashions from the times and join the travelling festival featuring some of the biggest pop icons of the era to perform their Smash Hits. Rising from writing from BBC radio shows to being discovered at the Edinbrugh Fringe and now starring on his very own TV shows, Russell Howard is the much-loved satirical comedian always looking for the bright side of life. The Bristolian funny man has announced an extensive tour for 2019, filling arenas all over the UK giving you a chance to see his side-splitting stand-up show on a stage near you. Who wouldn’t want to find an Ed Sheeran ticket in their stocking? The young song writing prodigy has already taken home the prestigious Ivor Novello Award, four Grammy Awards and a long list of BRITS! Last year saw the release of his chart-topping album ‘÷’ which includes such incredible singles as ‘Castle On The Hill’, ‘Galway Girl’ and ‘Shape Of You’ which he takes on tour next summer. Ed Sheeran tickets are currently available. Why not treat yourself and the whole family to a ticket to see Disney’s award-winning stage musical which continues to stun West End audiences ever since it was first launched eighteen years ago? Inspired by the Disney animated feature film, The Lion King tells the story of Simba who is usurped as the rightful heir as king of the Serengeti Plains in a dastardly scheme by his evil uncle Scar. The Lion King tickets are currently available.